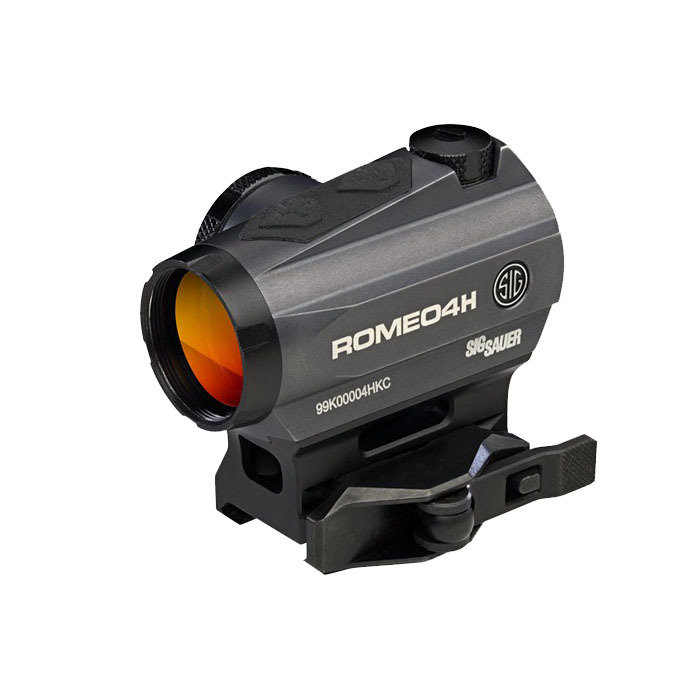 When fast target acquisition is a must, look no further than the Sig Sauer Romeo4H red dot sight. As tough and dependable as Sig Sauer firearms, the Romeo4 lets you shoot with both eyes open no matter the weather conditions, lighting conditions or terrain. Features MOTAC (Motion Activated Illumination System), a motion sensor for automatic on/off, 4 different integrated reticle options (Dot, Circle-Dot, Dot with Holds, Circle-Dot with Holds), 12 illumination settings, CR2032 battery with 50,000 hours of runtime, torx mount and QD mount, as well as advanced waterproof and fogproof performance.